Always popular, our range of Birthstone Necklaces. 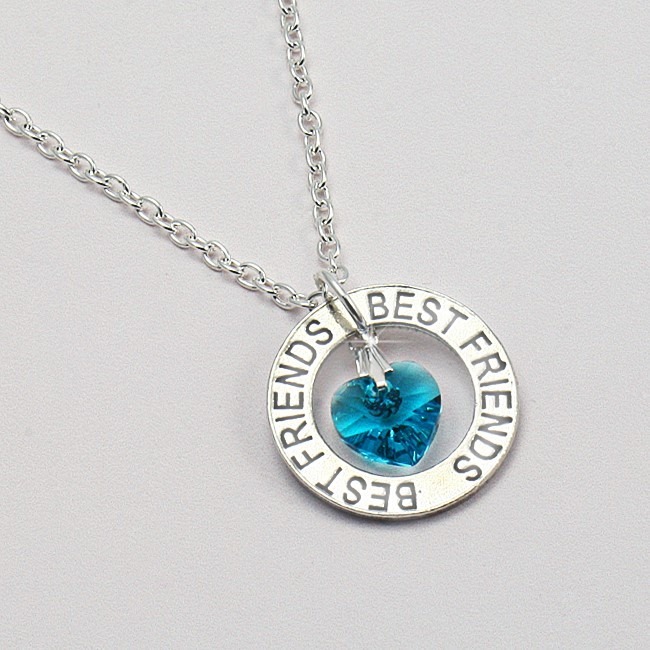 This Best Friend necklace is £9.99 including Free delivery within the UK. Your choice of hanging crystal birthstone heart. 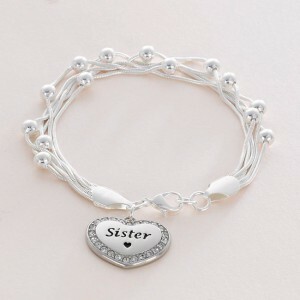 Pewter ring necklaces also available for Sister, Mum and Daughter on our website. Lovely quality, heavily silver plated, multi-strand chain bracelet. 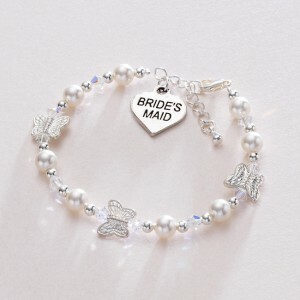 Your choice of heart pendant (Flower Girl, Mummy, Nanny etc) FREE engraving on the back! 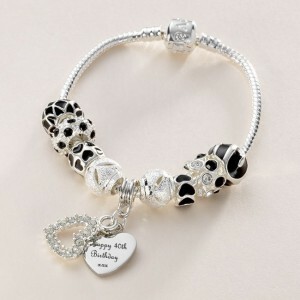 Beautiful snake chain bracelet with beads. A super gift for bridesmaids, a special birthday…..
As all our jewellery is custom made you won’t find anything the same on the high street! 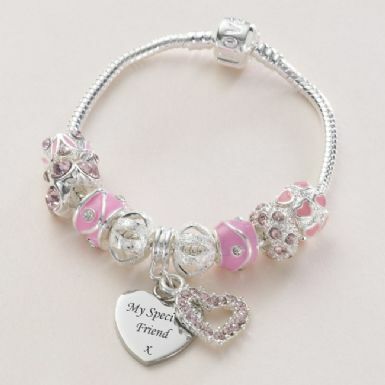 Charm Bead Bracelet with Engraved Heart Charm. 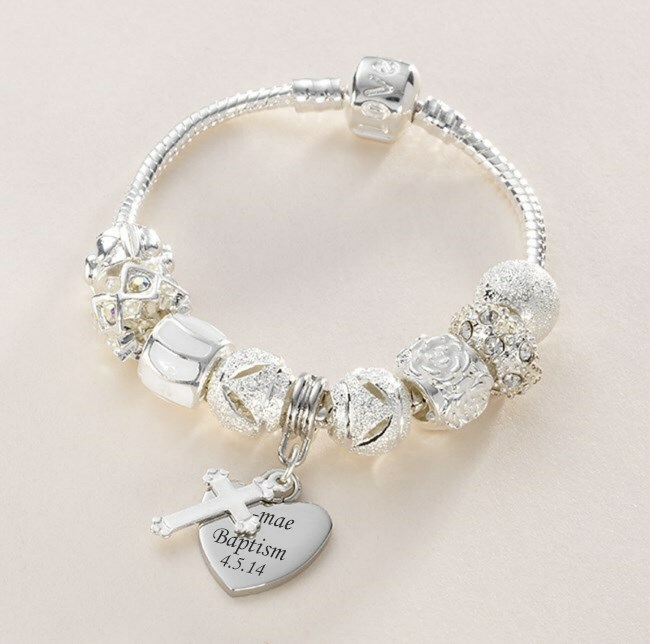 A lovely, fashionable and sentimental gift for someone special. 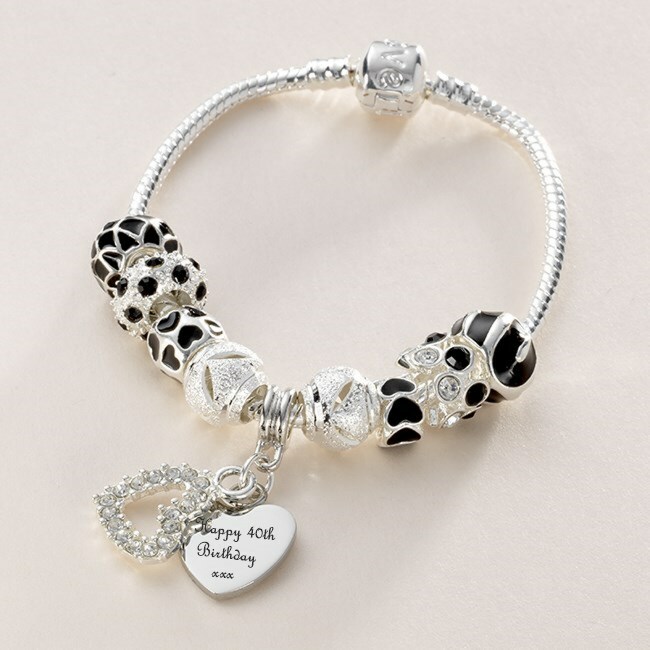 Silver plated snake chain with a selection of white and silver charm beads with Tibetan silver cross charm. 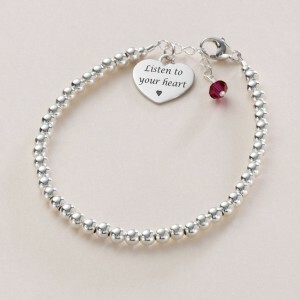 Your choice of words engraved on the heart charm, included in the price. A super gift for First Holy Communion, Baptism, Christening, bridesmaids, a special birthday or any occasion. 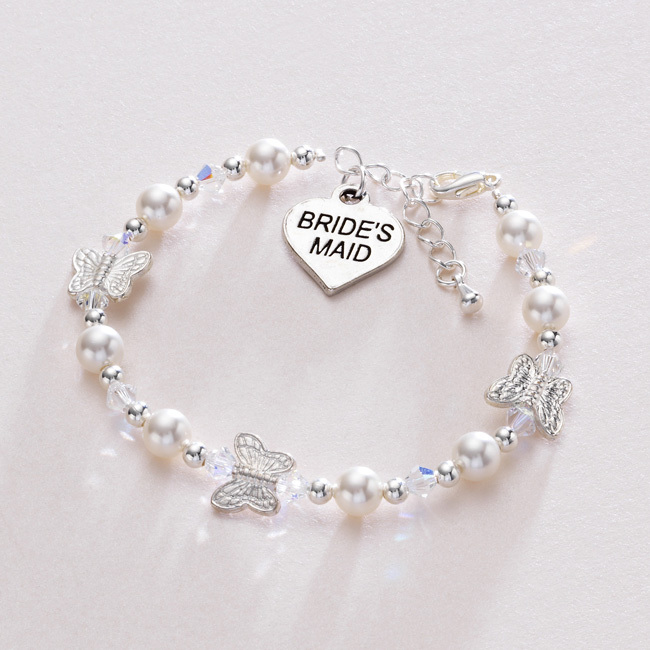 Beautiful Bridesmaid Butterfly Pearl Bracelet for Ladies or Girls. Made with beautiful, flawless, Swarovski Elements crystals and pearls along with Tibetan silver butterflies. 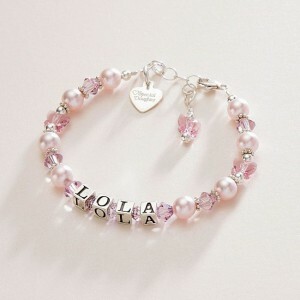 Just one of our large range of beautiful custom made and personalised bracelets for bridesmaids. Custom made bracelets make great presents for bridesmaids and they can be made in many different pearl and crystal colours. 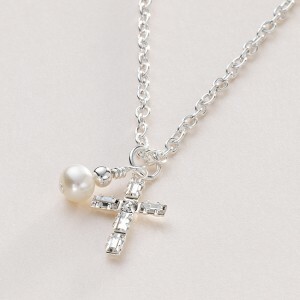 Beautiful Baguette Crystal Cross Necklace with Beautiful Freshwater Pearl Dangle. Freshwater pearl hanging alongside a stunning crystal cross. Presented in a white deluxe, padded and hinged gift box. 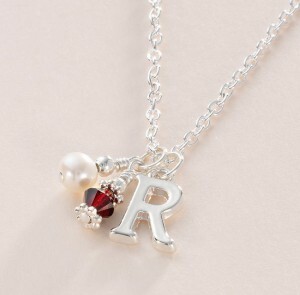 Silver plated charms on strong silver plated necklace chain. Swarovski Elements pearls, crystals and crystal butterflies. 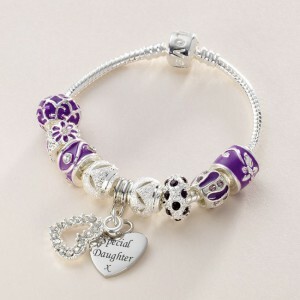 All silver parts are .925 Sterling silver. 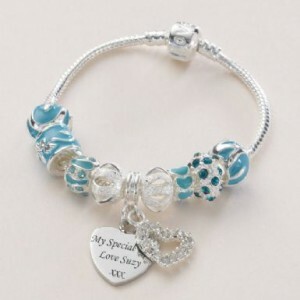 Message tag or charm of your choice. The pretty extension chain will ensure a perfect fit. 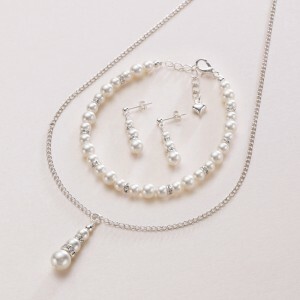 Odette Pearl and Crystal Set, genuine Swarovski Elements pearls alternate between sizes 8mm and 6mm. Crystals are 5mm.